Google always want to increase their user’s experience and keeping that in mind Google has been pushing to use a new concept i.e. Accelerated Mobile Pages (AMP). The Accelerated Mobile Pages(official website) project is supported by Twitter, Google, and WordPress to make the mobile web experience more convenient and faster. Basically, AMP is a framework designed to deliver optimized pages to instantly on your mobile devices. This type of pages drastically decreases the page loading time. These type of pages are very useful when people’s are facing internet speed issue or if they are on the 2G network. The best part of this project is that it is completely free of cost. Also, the Accelerated Mobile Pages saves user’s mobile data. The Accelerated Mobile Pages strips down all your fancy design code of the website to increase the speed of your pages. But it will not affect your valuable content. One more important thing to know is some of your ads will also not going to work on it. I am not a big fan of AMP but Google is keep putting stress on using Accelerated Mobile Pages for news and blog. Implementing this will not only improves your SEO but also increase your traffic. This article will explain you, how to setup Accelerated Mobile Page ready pages on your WordPress website and also how to make sure that Yoast SEO integrates with it accurately. Which plugin should I use for AMP on WordPress? 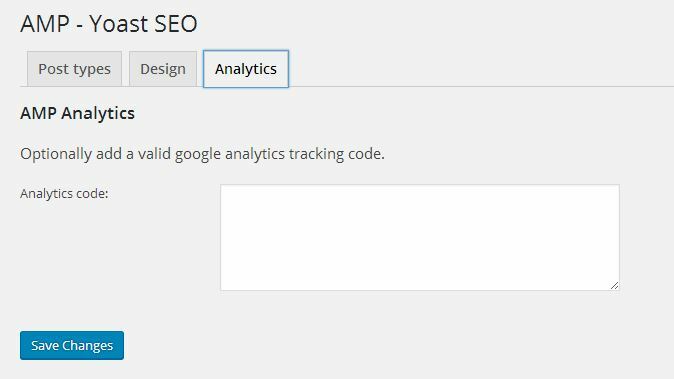 For implementing Accelerated Mobile Pages functionality to your WordPress website download the plugin from WordPress repository. This plugin will help in optimizing your website and automatically generates AMP(Accelerated Mobile Pages). If you are using Yoast SEO for your website search engine optimization then please use Glue for Yoast plugin. The Yoast SEO team has developed this plugin to seamlessly integrated the functionality of Yoast SEO with Accelerated Mobile Pages. To install Accelerated Mobile Page plugin just download it from here or go to your WordPress Dashboard click on Add new plugins and search for AMP. Once the plugin installed successfully and activated, its time to test it. Open your any post and at the end of its URL simply write /amp/ and you will get the Accelerated Mobile Page version of your post or page. How to install and work with Glue for Yoast SEO? Step1: After the installation of AMP plugin, write /amp/ after your post link to see what your Accelerated Mobile Pages look like. 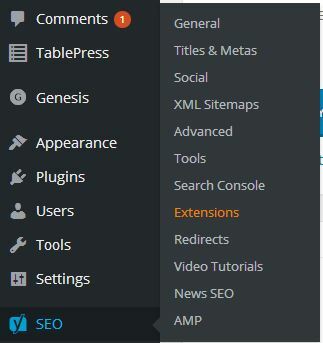 Step 2: Now, go to plugins and install Yoast SEO AMP glue plugin. 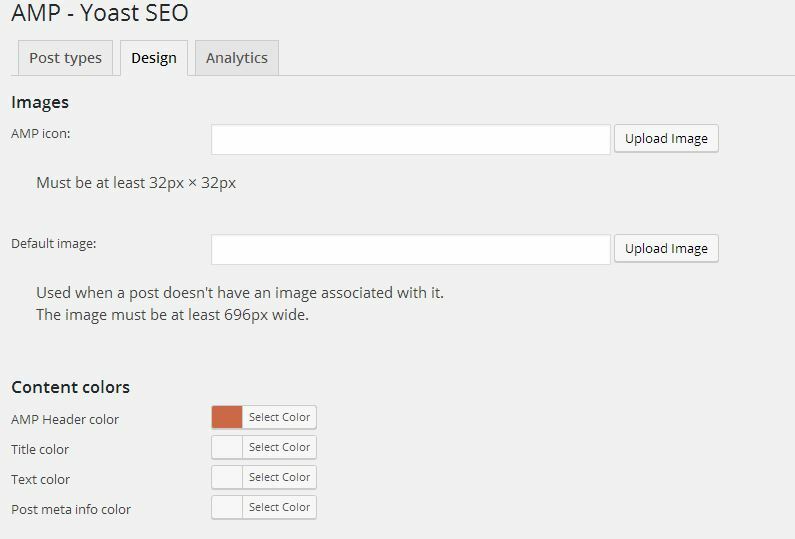 Step 3: Go to Dashboard and from the left side panel, select SEO → AMP settings menu. 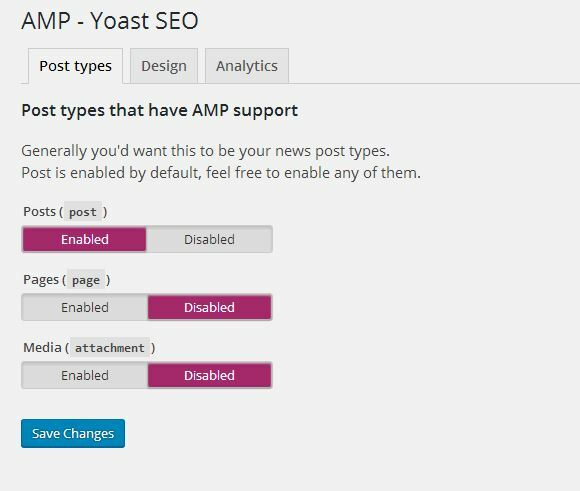 Step 4: On the Post Types Option, you can select what type of items on your website support AMP such as Posts, Pages, and Media. Step 5: In the second tab i.e. Design Tab, where you can add Accelerated Mobile Page icon, default featured images for posts that doesn’t have and different color options for links, title, header and more. 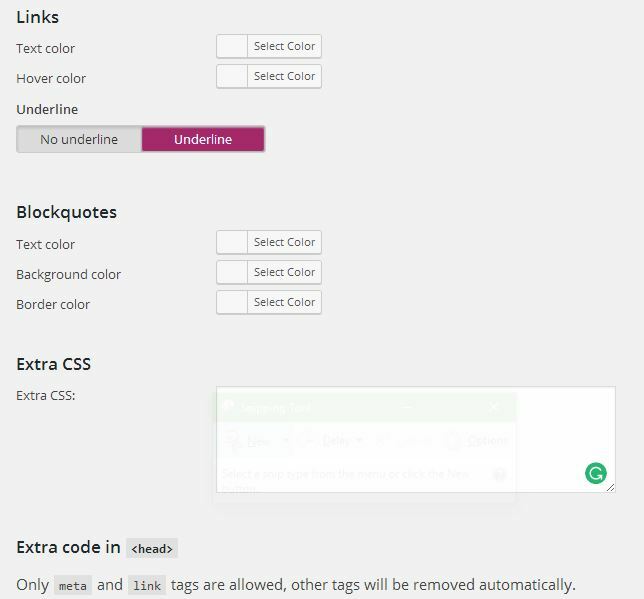 You can also add extra CSS and code for the header. Step 6: If you want to track down views on your Accelerated Mobile Pages direct from the plugin. Then just add valid google analytic tracking code in it and you are done.